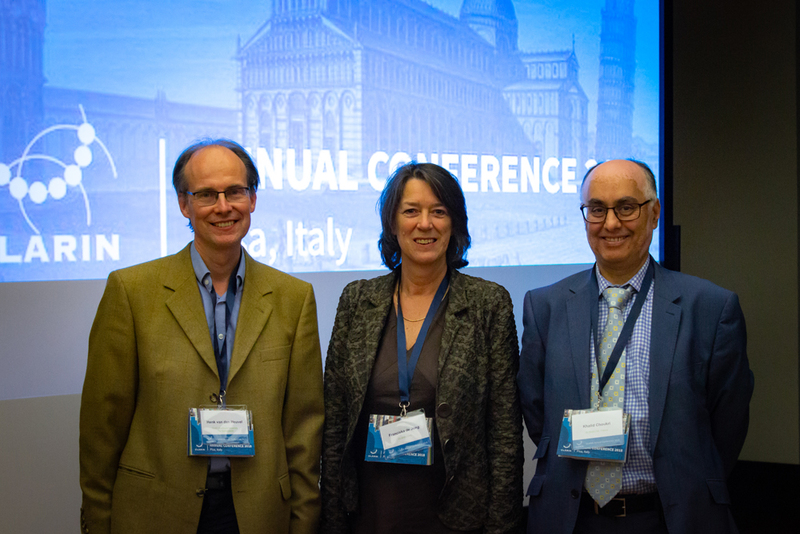 The CLARIN Annual Conference 2018 took place in Hotel Galilei, Pisa, Italy on 8-10 October 2018. 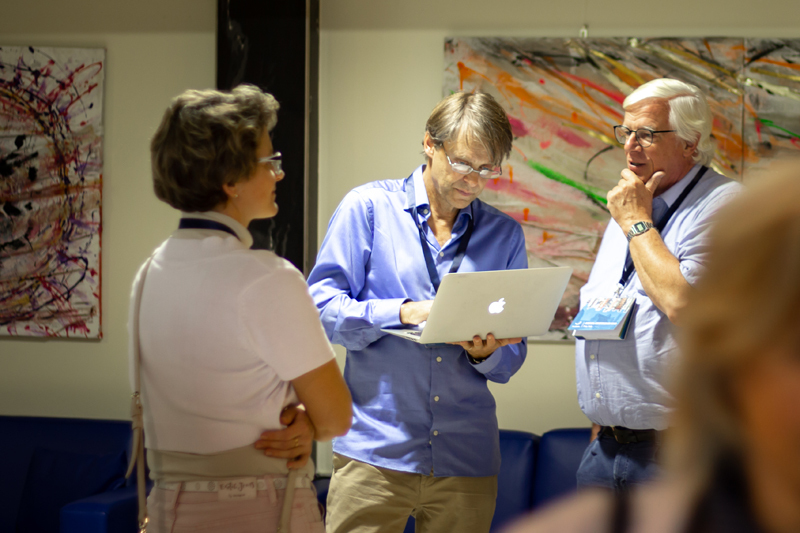 This year's event was organized by CLARIN ERIC in collaboration with the Institute for Computational Linguistics (ILC) that is part of the Department of Social Science and Humanities, Cultural Heritage (DSU) of the National Research Council of Italy (CNR). 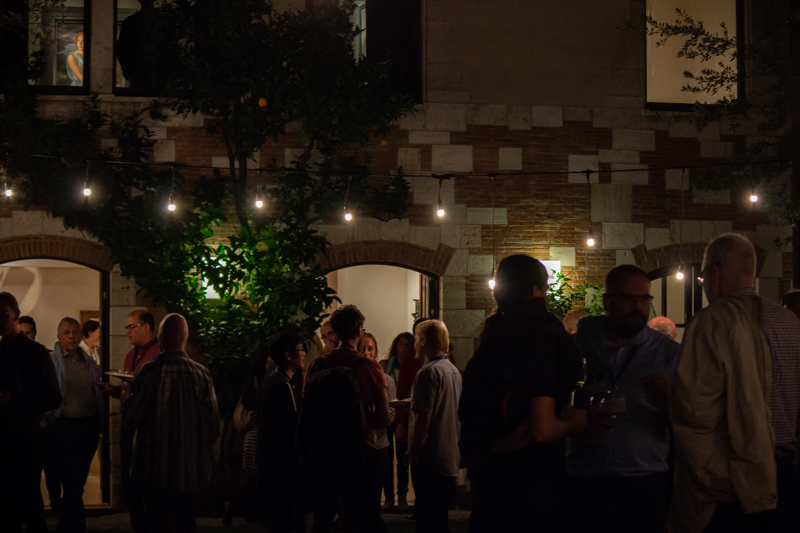 CLARIN2018 was organized for the wider Humanities and Social Sciences communities in order to exchange ideas and experiences with the CLARIN infrastructure. This included the design, construction and operation of the CLARIN infrastructure, the data, tools and services that it contains or should contain, its actual use by researchers, its relation to other infrastructures and projects, and the CLARIN Knowledge Sharing Infrastructure. The conference was attended by 240 participants, a significant rise of 25% in comparision to the previous year. 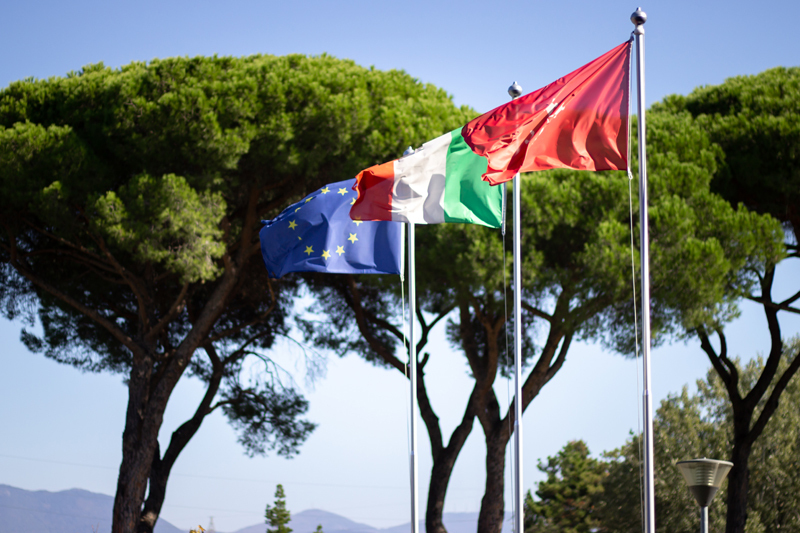 The participants came from 27 countries and were authors of accepted papers, members of national consortia and representatives of CLARIN centres as well as representatives from partner organizations. 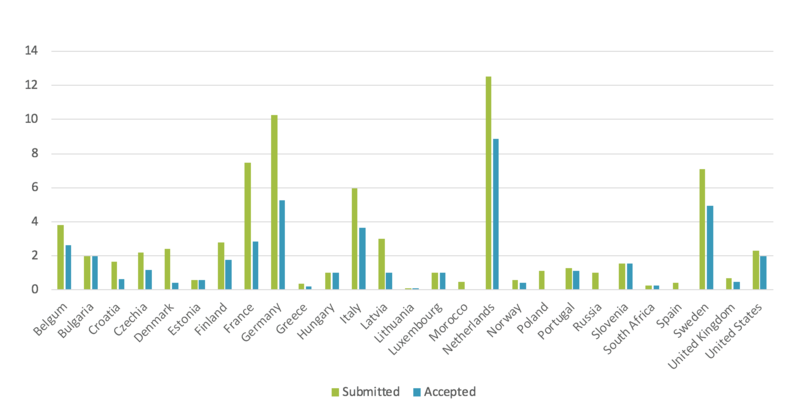 74 abstracts were submitted (37 in 2017) of which 44 were accepted (acceptance rate: 59%) after three reviews per submission. CLARIN 2018 submission and acceptance rate (slide from a presentation by Inguna Skadiņa, the National coordinator of CLARIN.LV and CLARIN 2018 Programme Chair). 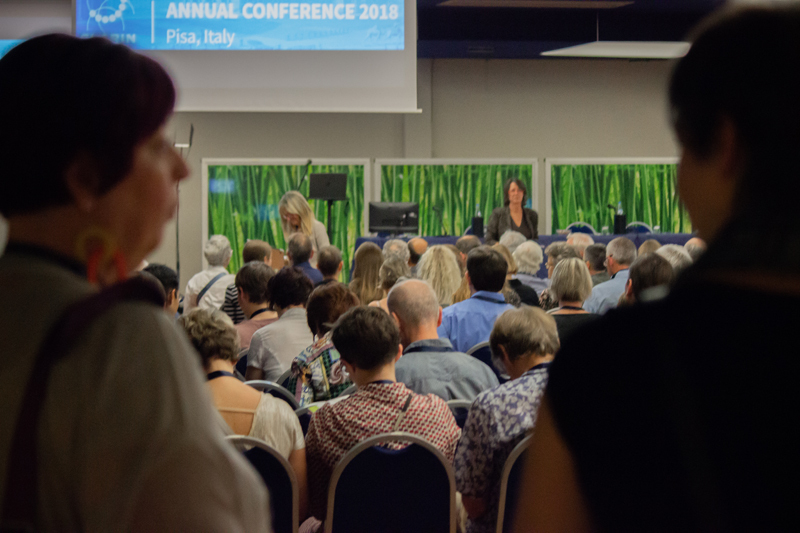 On Monday 8 October 2018 the conference opening ceremony took place in the afternoon with a welcome messages from Franciska de Jong (Executive Director), Inguna Skadiņa (Programme Chair) and Monica Monachini (Local Organizer). 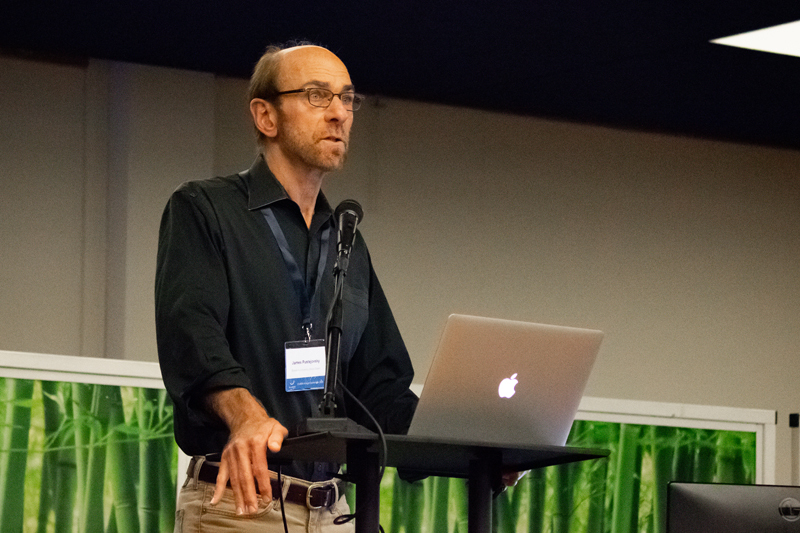 The first keynote was given by James Pustejovsky (Brandeis University, USA) on CLAMS: Computational Linguistic Applications for Multimedia Services. Afterwards, the parallel sesions took place (format used for the first time! 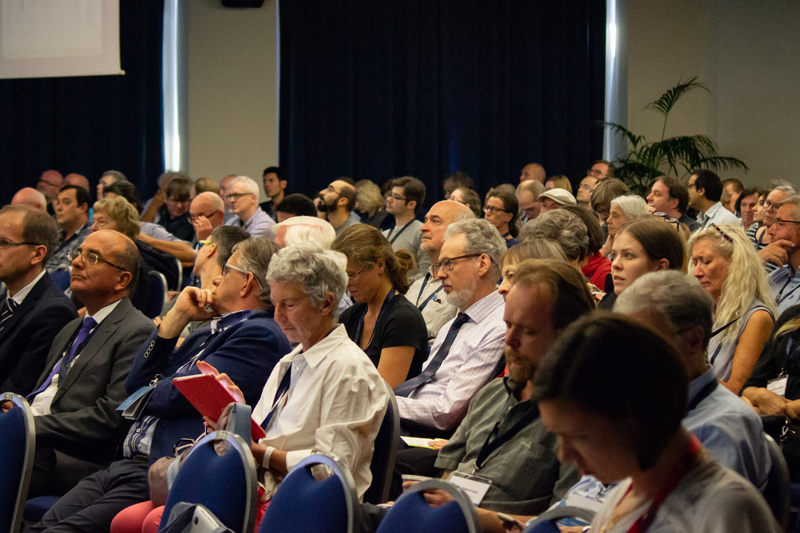 ), the first session chaired by Lars Borin: CLARIN in Relation to Other Infrastructures and Projects and the second session chaired by Kadri Vider: CLARIN Knowledge Infrastructure, Legal Issues and Dissemination​. Each of the parallel session consisted of three papers (for more information visit the conference programme page and Book of Abstracts). 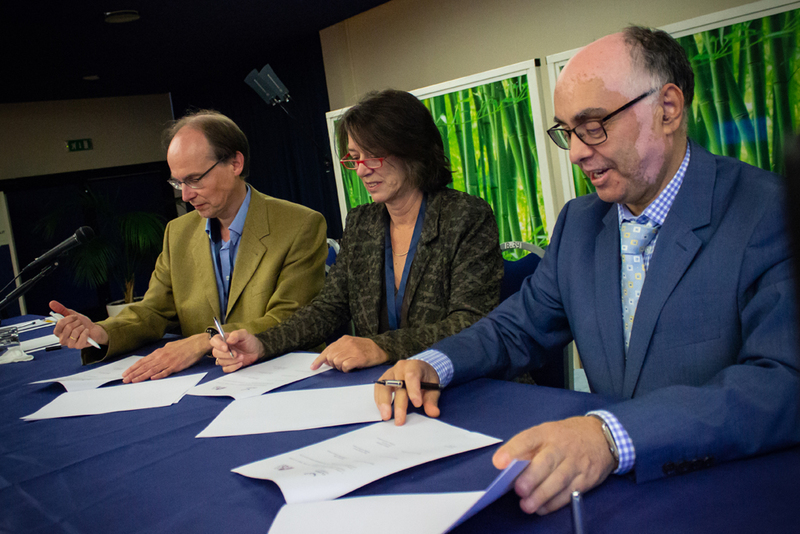 One of the highlights of the first day of the conference was the signing of a collaboration agreeement between CLARIN ERIC and the European Language Resources Association (ELRA), which was announced back in July 2018. 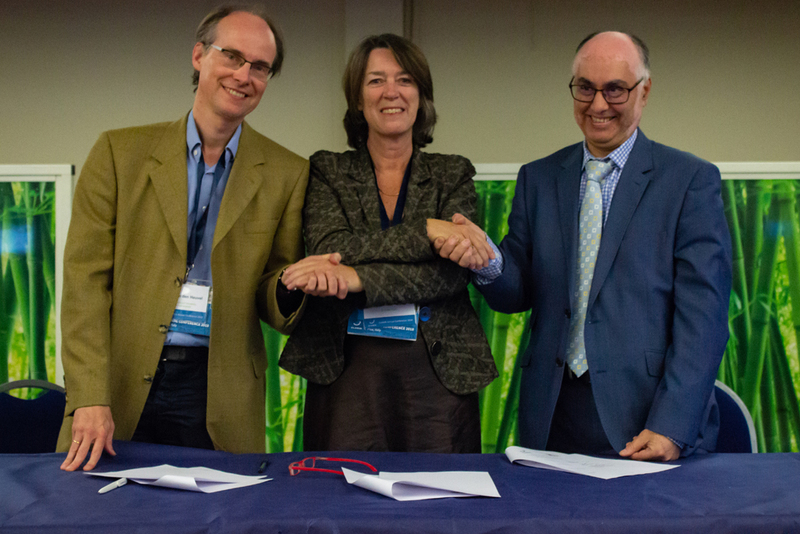 Henk van den Heuvel (President of ELRA’s board), Franciska de Jong (CLARIN ERIC Executive director) and Khalid Choukri (CEO of ELDA, Secretary General of ELRA) signed the agreement to collaborate in order to outreach to the different communities of Language Resources' users in academia and industry, and build relationships between them among others (read more). 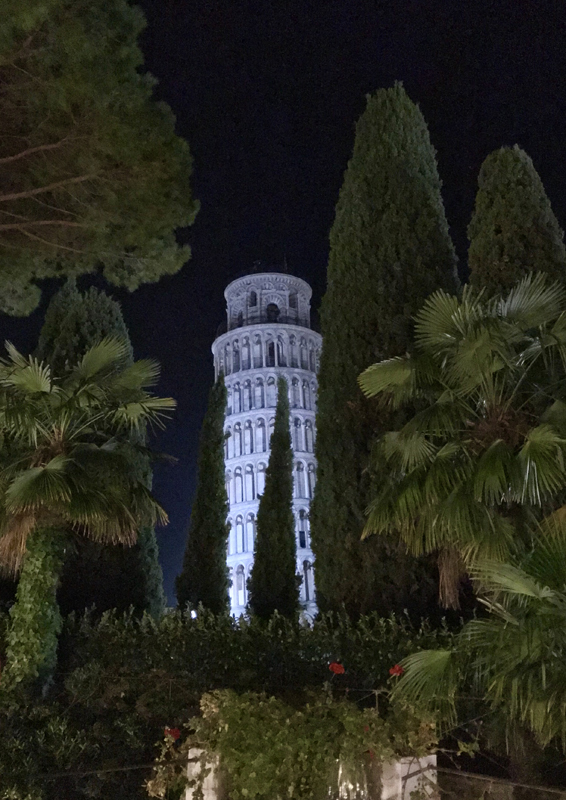 The first day of the conference wrapped with a reception at Villa Comel located next to the historical Piazza dei Miracoli with the Leaning Tower, Duomo and the Baptistery. 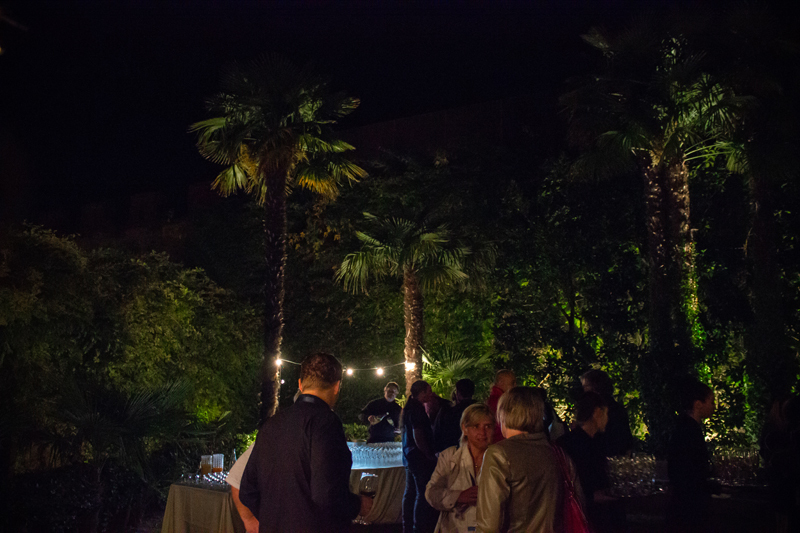 It was a remarkable event in a spectacular setting. 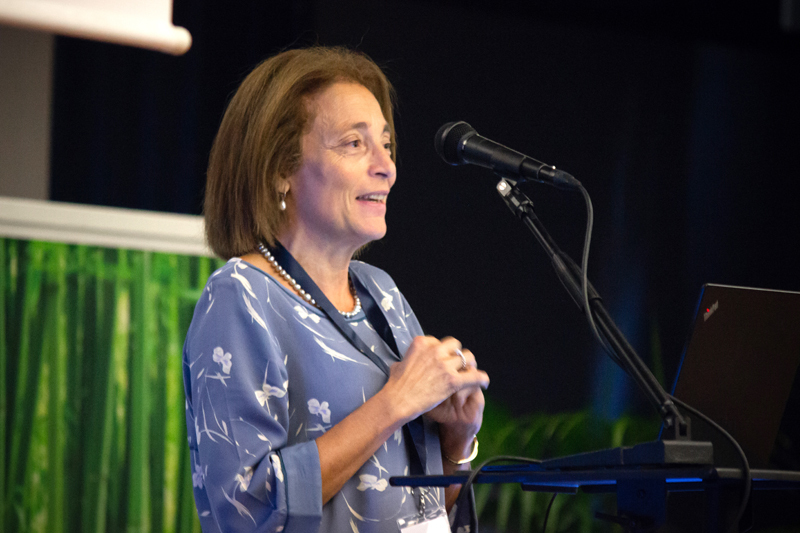 The second day of the conference started with presentations by CLARIN ERIC Board of Directors filled with information and updates on the Infrastructure’s progress and development, the National Coordinator’s Forum and national activities. This was followed by the thematic session: Multimedia, Multimodality, Speech. The first part of the session was chaired by Maciej Piasecki and consisted of the second keynote of the conference: talk on Speech and gestures: computational linguistic studies by Costanza Navarretta (University of Copenhagen, Denmark). The second part of the session was chaired by Jan Odijk and presented five thematic papers discussing different takes on multimedia, multimodality and speech. The afternoon of the second day invited 17 PhD students onto the stage for the poster slam chaired by Darja Fišer. The students presented their posters in just one minute each, which was only a warm-up for the next poster session where the students presented their posters, work and findings in a more slow-paced setting. 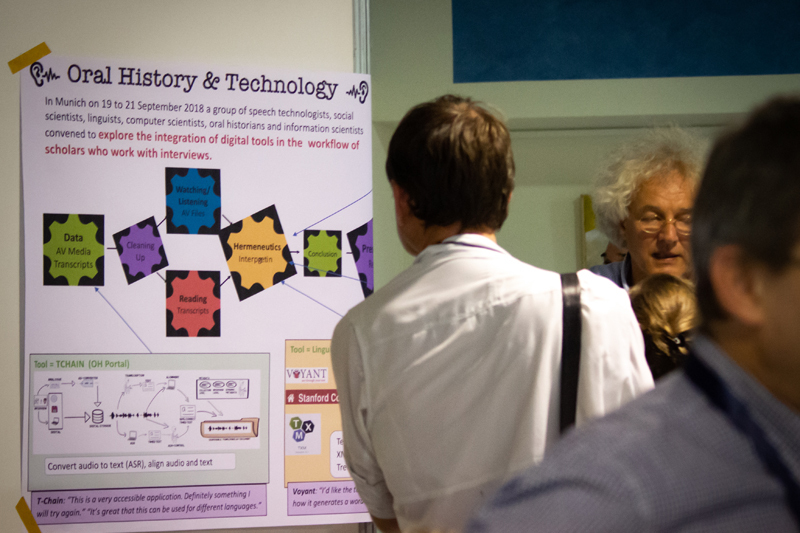 You can read abstracts of the posters here. On that afternoon the chairs of CLARIN committies also took it ot the stage to present short reports on Committee meeting that took place the day before: the National Coordinators' Forum (NCF) Chair Maciej Piasecki gave an overview of the NCF Work Plan 2019, the Centre Assessment Committee (CAC) Chair Lene Offersgaard was speaking about the next assessment rounds for B centres, the Knowledge Sharing Infrastructure Committee (KSIC) Chair Steven Krauwer outlined the plans for Knowledge Sharing activities, the Legal Issues Committee's Chair Aleksei Kelli gave a short overview of upcoming changes and challenges and the Standards Committee's Chair Piotr Banski closed the session with an overview of the Committee current work. The last session of the day was CLARIN Bazaar, which provided an informal setting for conversations between CLARIN people and space to showcase ongoing work and exchange ideas. This year’s Bazaar consisted of 35 presentations and inclued a variety of project and research topics, from CLARIN support for multimodality, through reuse of digital cultural heritage in the e-infrastructures domain to perception in online restaurant reviews​... Click here to read more about the Bazaar. 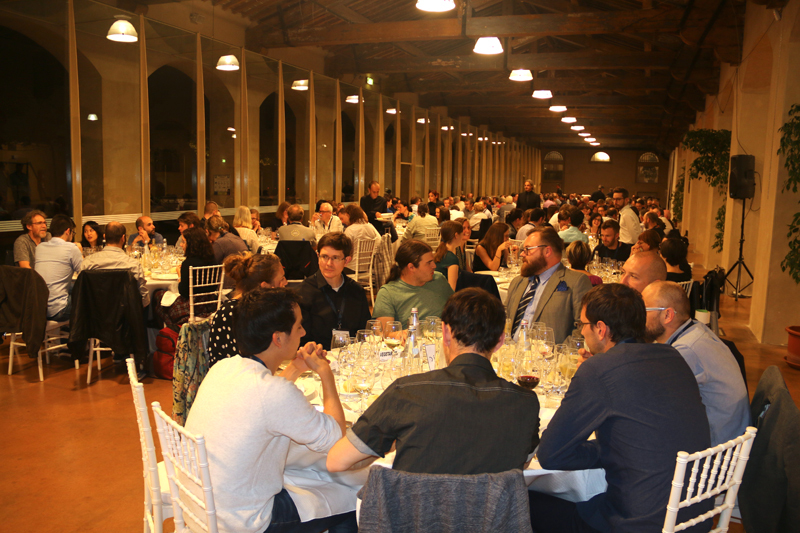 The second day of the conference ended with a conference dinner at Stazione Leopolda, a cultural centre housed in an ancient railway station that was built at the end of the 19th century. 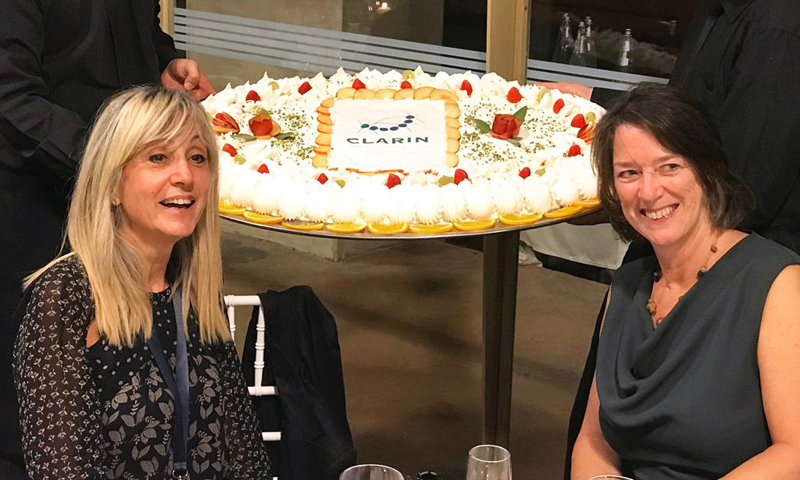 The dinner gathered all participants together for an evening of fine food and wine, speeches and the first ever CLARIN celebrations cake! The last day of the conference started with two more parallel sessions: Use of the CLARIN infrastructure chaired by Antonio Branco and Design and construction of the CLARIN infrastructure chaired by Tomaž Erjavec, each consisting of five papers (for the abstracts, full papers and slides please visit the conference programme page). 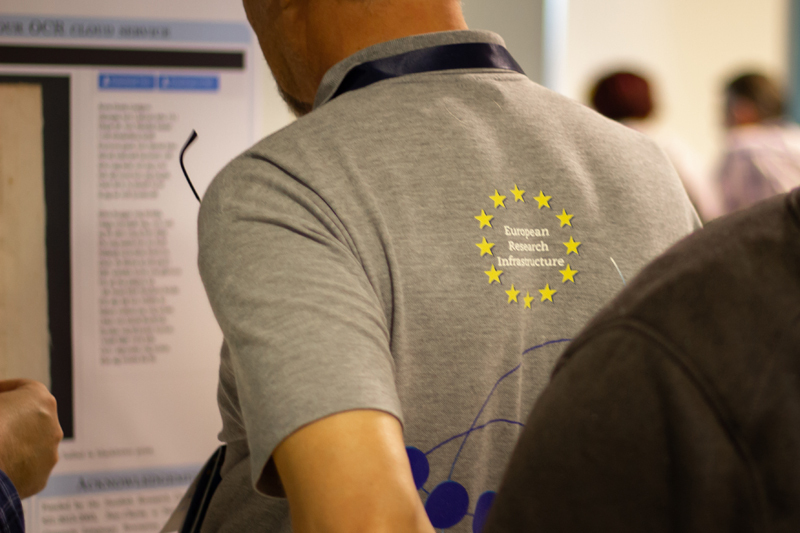 This was followed by Poster slam session chaired by Kiril Simov, a fast paced presentation of 23 posters (you can read abstracts of the posters here) and then a more relaxed part of the conference: poster and demo session, where people could chat and exchange ideas for hours! 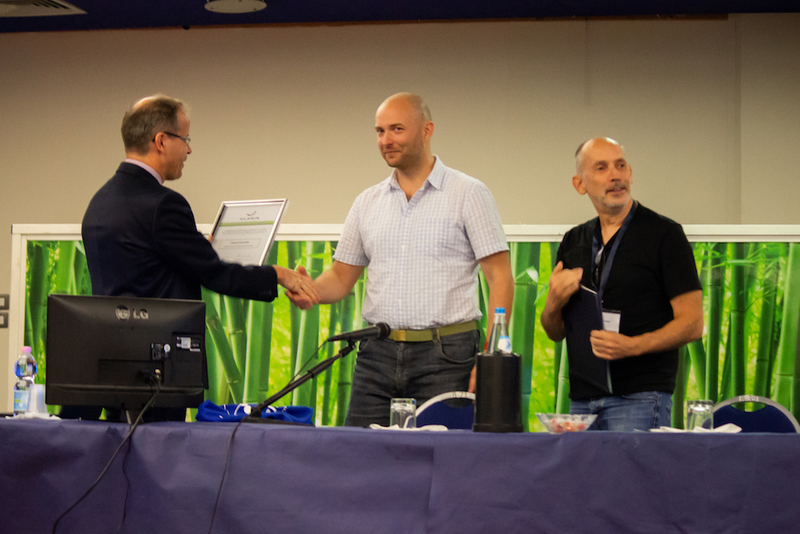 After a lunch break the State of the Technical Infrastructure was presented by Dieter Van Uytvanck, and followed by the 5th edition of the Steven Krauwer Award ceremony. 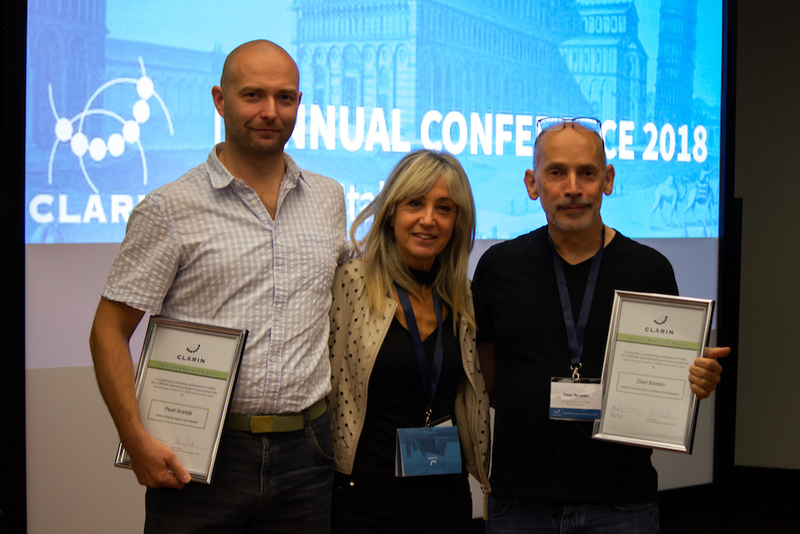 The 2018 Steven Krauwer Award for CLARIN Achievements was awarded to Daan Broeder (Meertens Institute, KNAW) and Pavel Straňák (Charles University) for their outstanding contributions toward CLARIN goals. 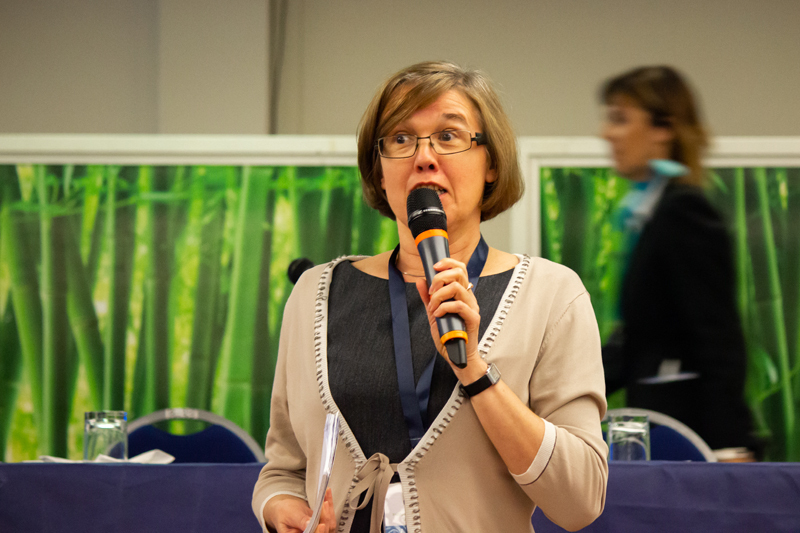 The last part of the conference included final remarks and ‘Looking forward’ message from the Board of Directors, presented by Franciska de Jong and Darja Fišer, followed by acknowledgments and goodbye from the Programme Chair, Inguna Skadiņa. For more detailed information about the event visit the CLARIN 2018 Annual Conference page, where you can find links to the programme, abstracts, full papers and more. 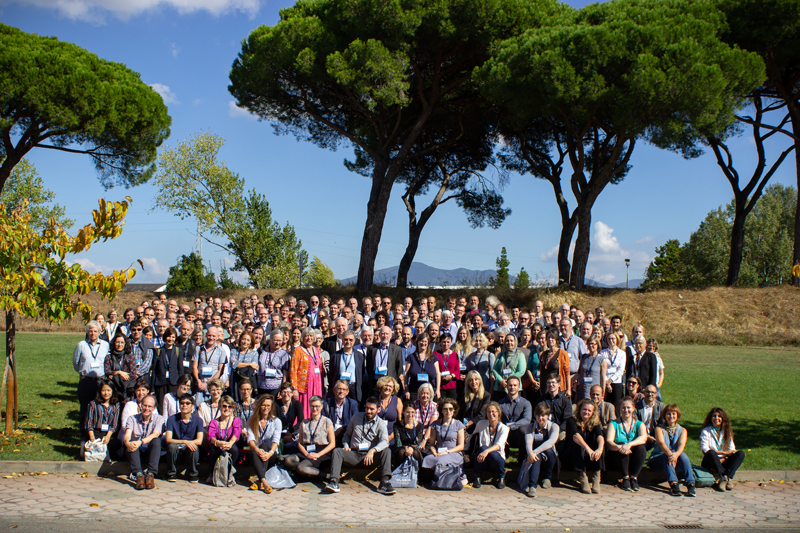 Visit the CLARIN 2018 IN PICTURES album of photographs taken during the conference to see familiar faces and smiles! To follow up on CLARIN 2018 activity on Twitter see our 'Twitter Moment' here. Accepted papers were published in the conference Book of Abstracts, and the Proceedings. Selected full papers will be published in a digital conference proceedings volume at Linköping University Electronic Press within about 6 months after the conference. Once available, a direct link to the publication will be added to the conference page.